I've been Adopted! - Shy kitty Savannah has found her forever home. We'd like to introduce Savannah. She was found outside trying to fend for herself by one of our clients. 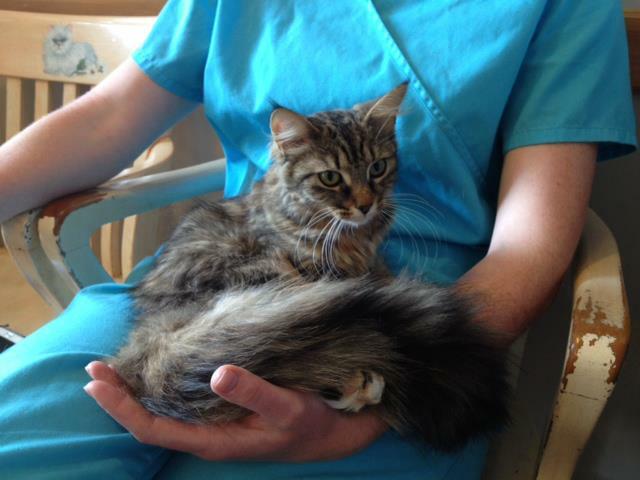 She's currently at our sister clinic in Ancaster looking for a new home. This little girl is under a year old and gets along well with other cats as long as she’s introduced slowly. She's pretty shy and would do well in a quieter house. Once she settles in she's a real little love bug. For ongoing pictures you can follow and share her information on Facebook.